A great weekend of racing – well almost a weekend! Please keep Sunday 10th February free as Session 4 has been postponed until then due to the maintenance issue at Sportspark. 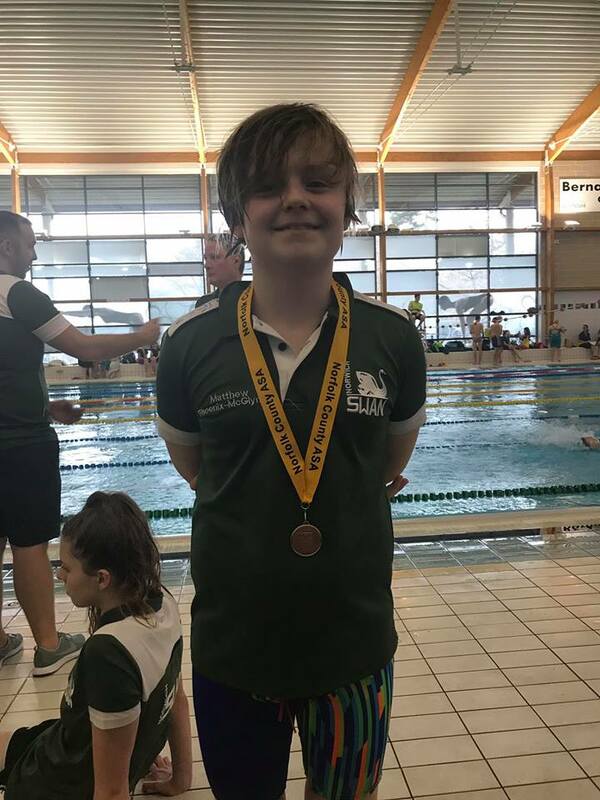 Swimmers you did yourselves proud with some really good pacing in your races and skills. Huge thanks to Rui our S&C coach who took time out to prep you for your races and well done on your recovery work as well. Thanks to all our officials and volunteers who helped – great job done by all. So statistics are in and they look pretty positive! Far too many PB’s to mention so great job with that swimmers!! 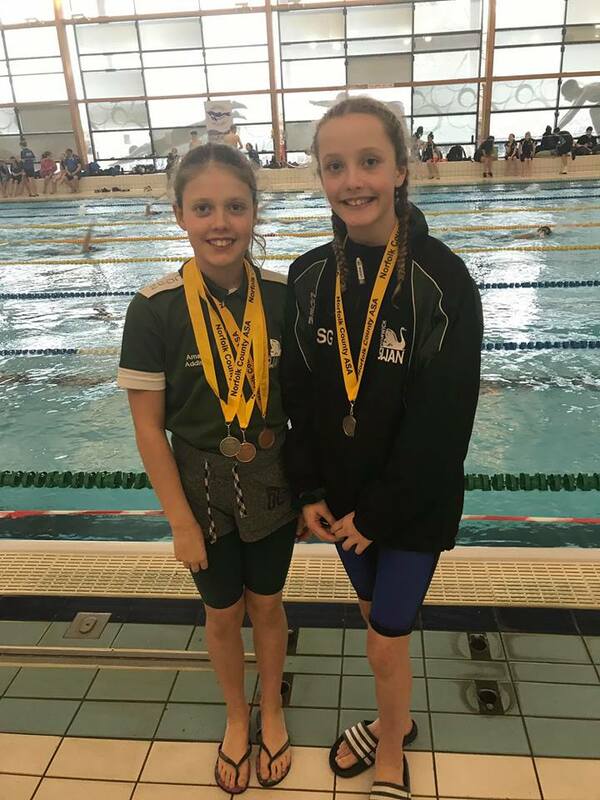 9 Girls made the 100 BK finals – Sienna/Amara/Charlotte/Ellie/Lorne/Katie/Bella/Maddie B/ Olivia & Rebecca. 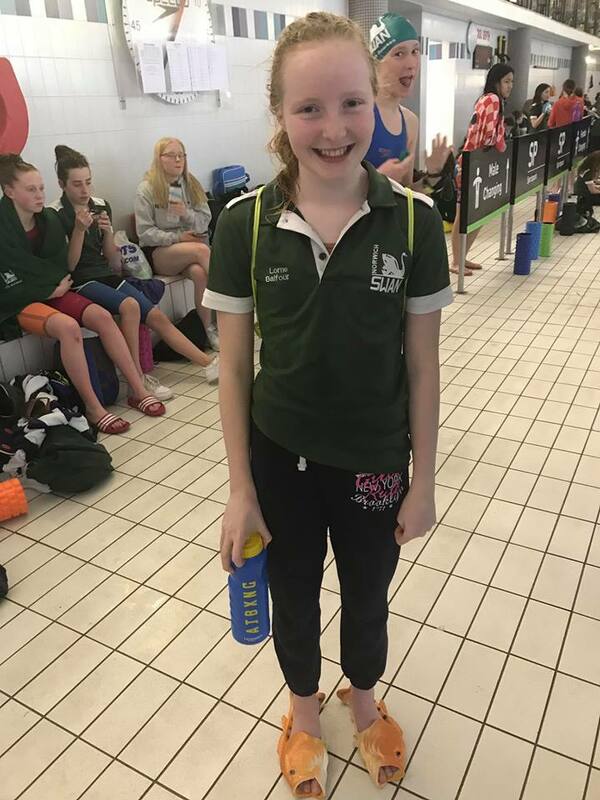 Sienna Gilman did a fantastic job as she was the only 10yr old to qualify for the 10/11yr final but actually swam it as a 9yr old as she hasn’t actually turned 10 yet!! Well Done! Katie Andrews had an awesome 100 BK final improving her heat time and taking the COUNTY CHAMPION title for the 15yr age group! Well done! 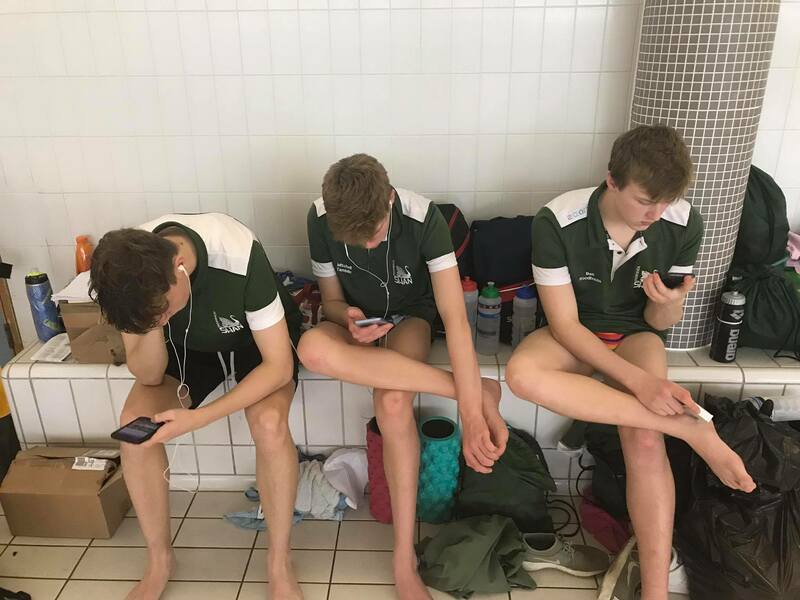 6 Boys made the 50 Brs finals – James C/Fin A/Menuka/Henri/Fin C & Oliver A.
James Noble was second reserve for the 50 Brs final but in producing a great PB he earned himself his very first Regional Time at the age of 16– very well deserved and is proof with hard work, determination and belief you can achieve! Congratulations James! Menuka did a fabulous job in the final claiming the title of 12yrs COUNTY CHAMPION– well done! 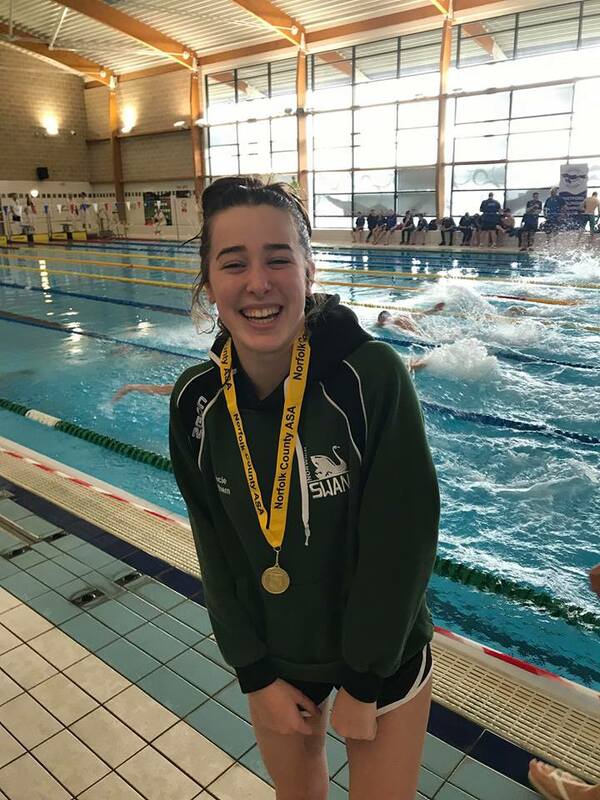 Jess Munford battled hard in her final but her strength and determination together with her fighting head on she wasn’t going to let anyone beat her and it was her time to take the title of 15yrs COUNTY CHAMPION! Well done!